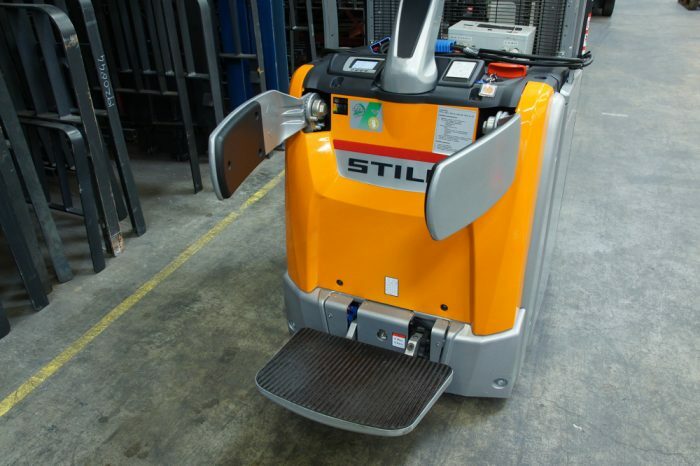 Still recently introduced the new stacker range in the EXV series. The trucks are available in both pedestrian and driving version. We tested the EXV SF-20 with folding stand-on platform. The conclusion is clear and direct: the new range is a successful continuation of the existing series. 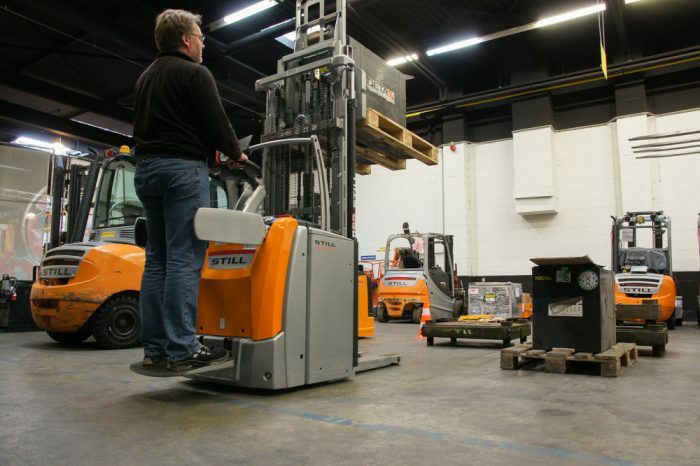 Stackers always play a key role in intralogistics. 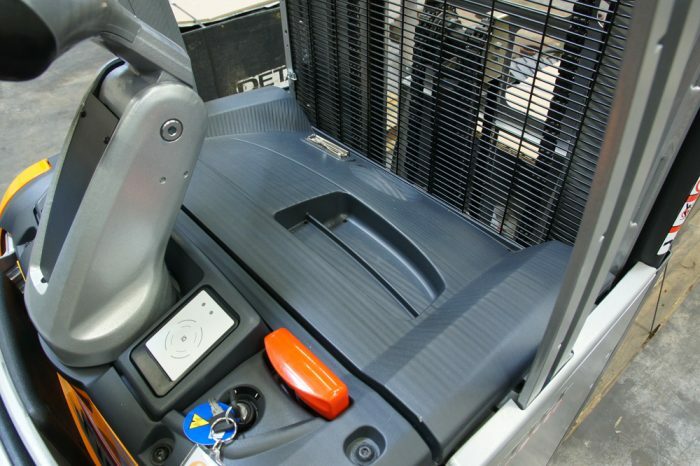 Virtually no other internal transport vehicle is so versatile and easy to operate. 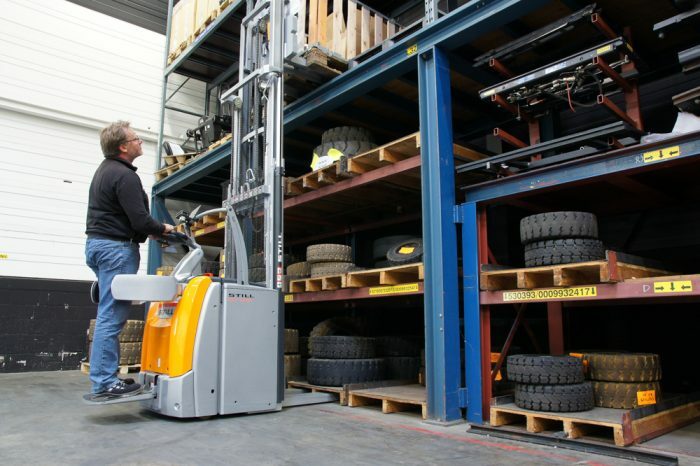 Whether it is used for loading or unloading trucks, horizontal internal transport, or stacking goods in racks; the stacker makes it all possible. 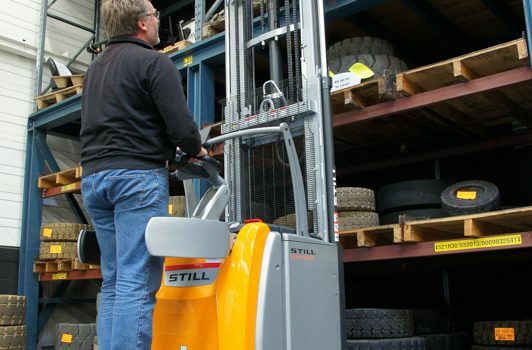 The compact ‘all-rounder’ can also manoeuvre easily in tight spaces. 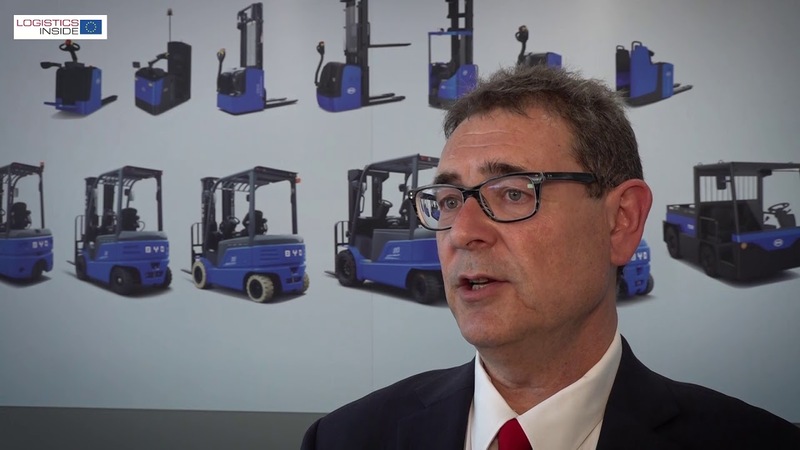 To meet the needs of the market, Still has expanded its EXV series stackers with six new models. Herewith this brand features an extended range in this market segment. 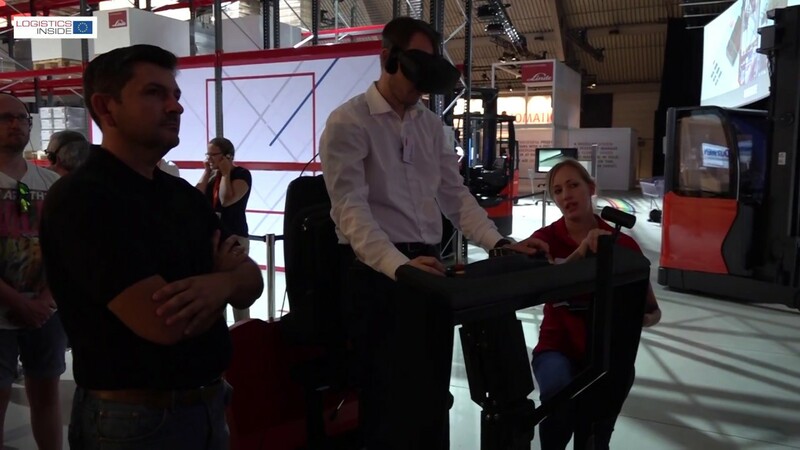 The new range has two variants: the EXV for pedestrian commitment and the EXV-SF with folding stand-on platform for the ride. The EXV pedestrian is available with load capacities of 1.0, 1.2, 1.4, 1.6 and 2.0 tonnes. 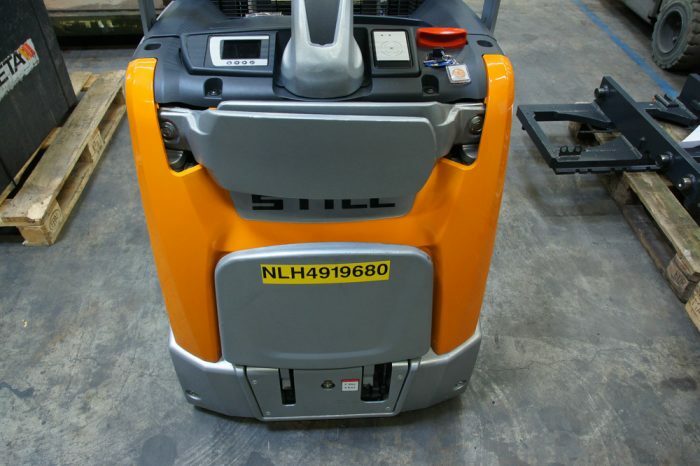 The EXV SF comes with capacities of 1.4, 1.6 and 2.0 tonnes. 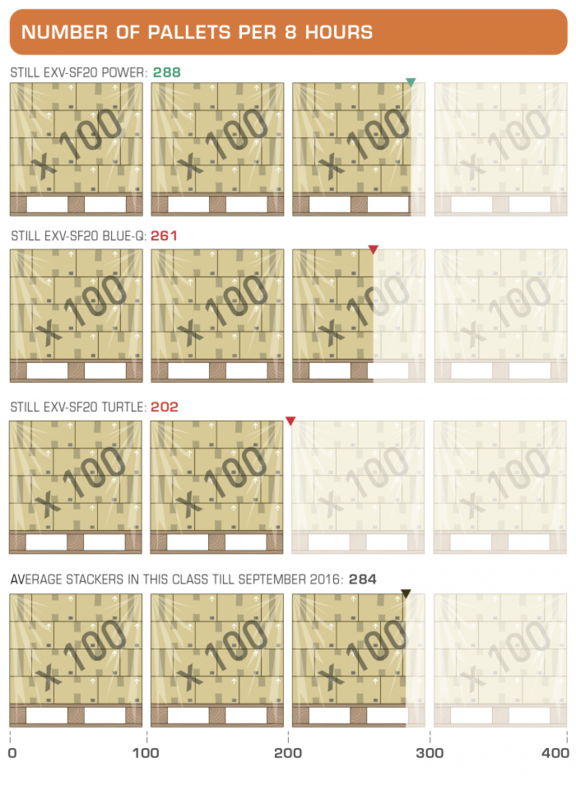 With the 2-ton version of the Still EXV SF we have the strongest version in our test. The series is available with or without initial support arm lift. 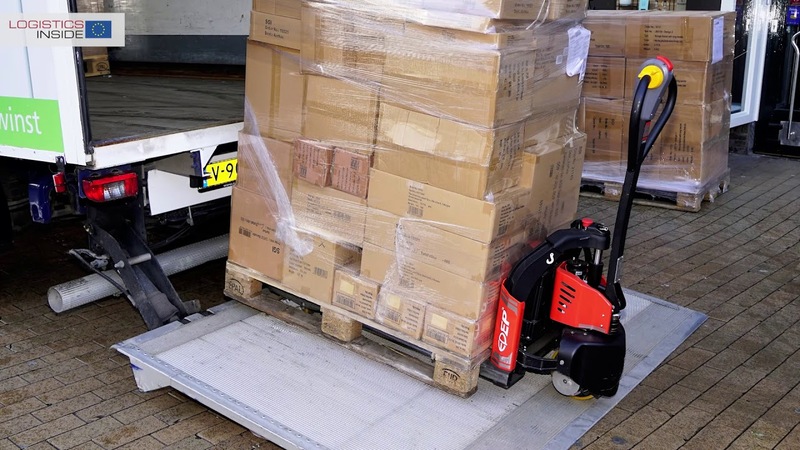 These trucks have the ‘i’ indication behind the type designation and they can simultaneously move two pallets. 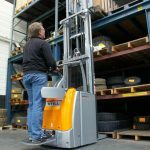 The test is an ordinary truck without the initial support arm lift, which is provided with a three-stage mast with a lifting height of 4110 mm. Working with the EXF-SV20 almost goes entirely intuitive. You fold out the side supports with the stand-on platform and get on. 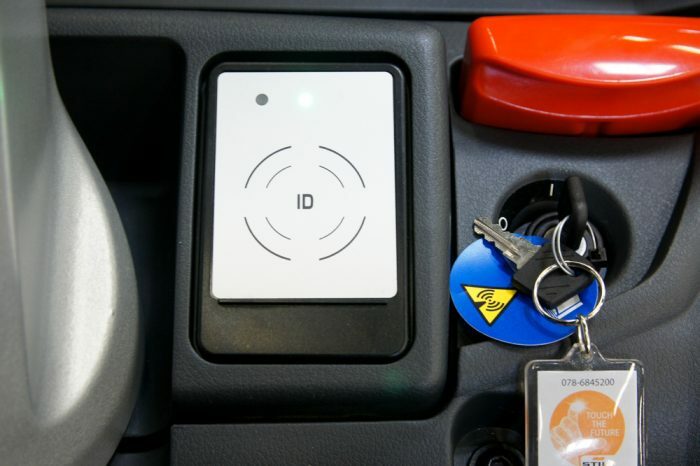 Our test truck has a simple key switch but is also prepared for ‘Fleet Manager’ to log in with a tag or smart card. For driving, you have to use the butterfly switches on the tiller arm. 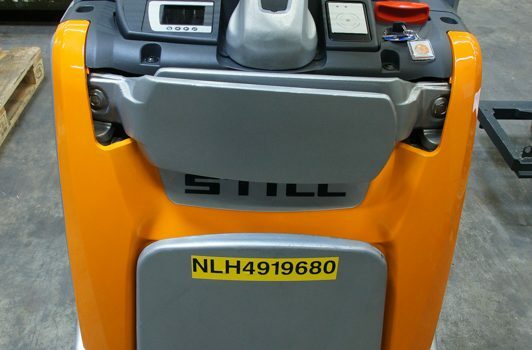 The truck has electric power steering which works very direct without floating. Very noticeable and a pleasing function is the degree of automatic speed reduction in curves through the ‘Curve Speed Control’. This system continuously and smoothly chooses the safest truck speed while cornering. Occasionally the truck does not address the maximum speed limit directly as we drive straight ahead. The solution is to just release the butterfly switch for a brief moment and activate it again and the truck accelerates up to the maximum speed. 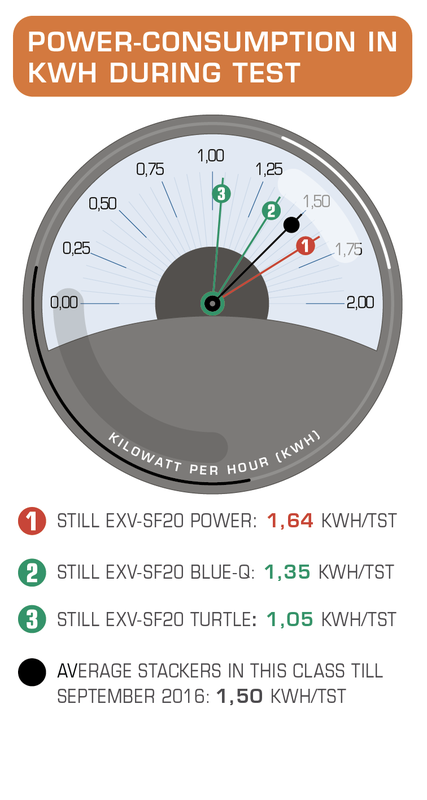 Service technicians can adjust all functions of the EXF-SF by computer, but adjustments were barely not required on the test truck. The reaction on the butterfly switches, the power steering, acceleration and braking, everything was set as expected. We note that all performances are clearly lower when driving with load, than unloaded driving. These properties are fully adjustable. Our test truck is set for a pretty ‘cautious’ performance with load. 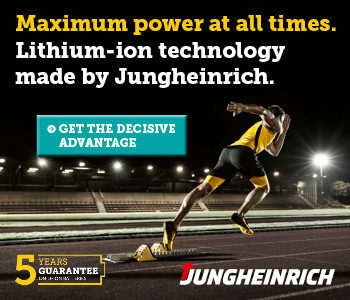 This logically results in a favourable energy consumption. But a different setting is also possible if you prefer a higher performance level. 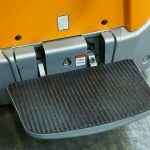 Still was – until now – the first and only manufacturer with an air suspension platform on the previous model which is adjustable to the weight of the operator. This functionality can also be found in the current series. A small compressor provides the necessary air pressure for the desired damping level. After all a very good feature, but we fear that it remains at a one-time setting, because it is rather devious to adjust the correct value of damping. Much more convenient and practical are the height-adjustable side supports. Regardless of their body height, every operator will find the best support. 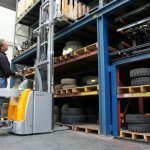 The major improvements for the EXV SF series are the increase in performance such as driving and lifting speeds and the residual loading capacity. Our test truck has a lift height of 4110 mm and at this height still a residual lifting capacity of 1350 kg. 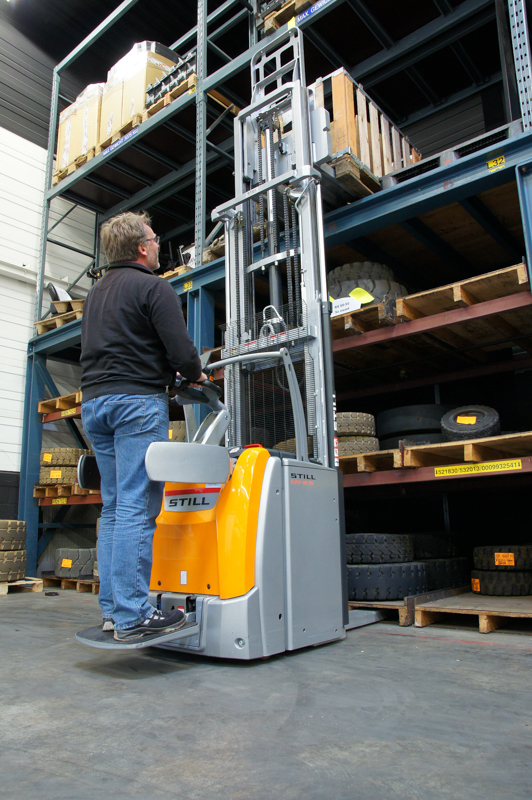 This stacker comes with a choice of many masts with lifting heights up to 5466 mm. The new generation stackers have masts with a wider view through the mast sections and also over the battery cover for a better view at the fork tips. 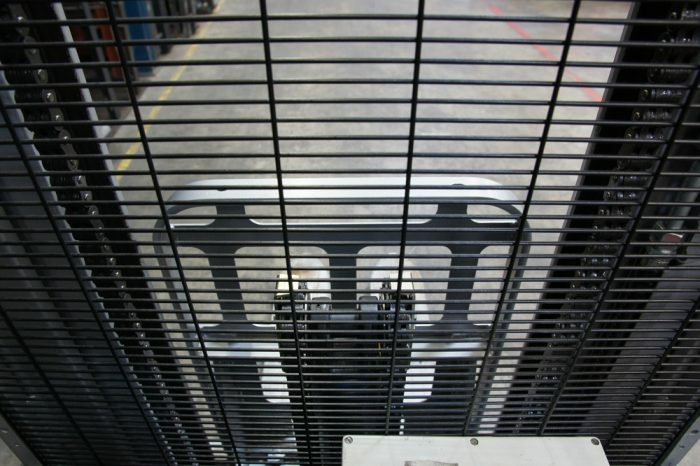 Our test truck is provided with a metal mesh on the mast in order to protect the operator from accidently crushing hands and fingers. 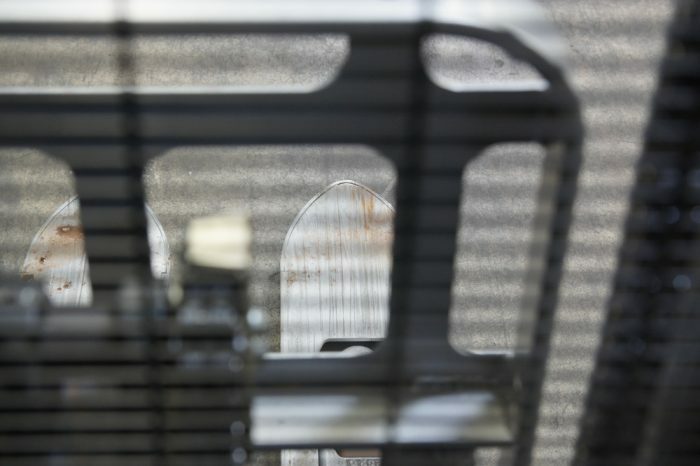 The open mesh has the advantage that it does not collect any dirt, but it still disturbs the visibility a bit compared to a full plexiglass protection. 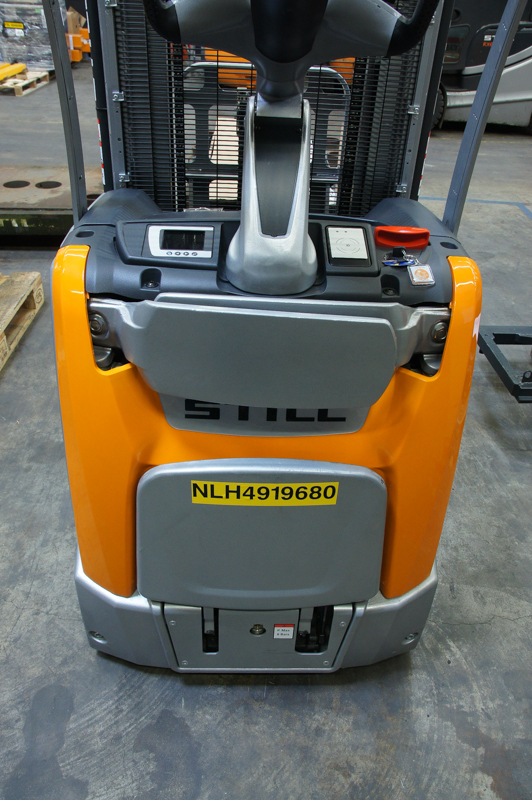 New to this stacker series is the very informative color display. This not only reports the date and time, the driving hours, and the degree of battery discharge, but also the chosen driving mode (Power, Blue-Q or Turtle). 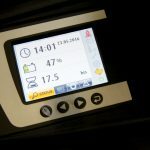 Furthermore the display optionally offers a weight indication of the picked-up load. This also monitors the safe working height. Also any error messages and service codes are easy to read through the clear display screen. Not on our test truck, but yet another interesting optional feature is the residual capacity loading indicator. 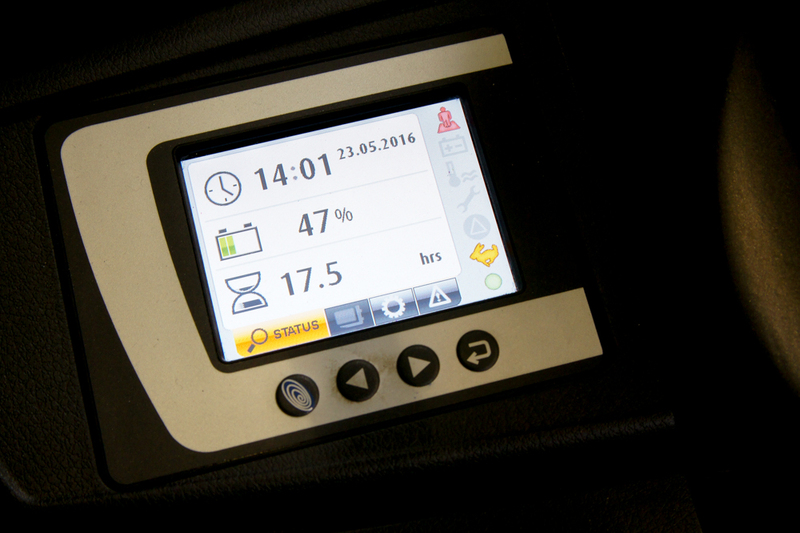 It is mounted on the mast and the operator can very easily read the current lift height in cm. It is also ment to see whether the truck is still in a safe range of operation. 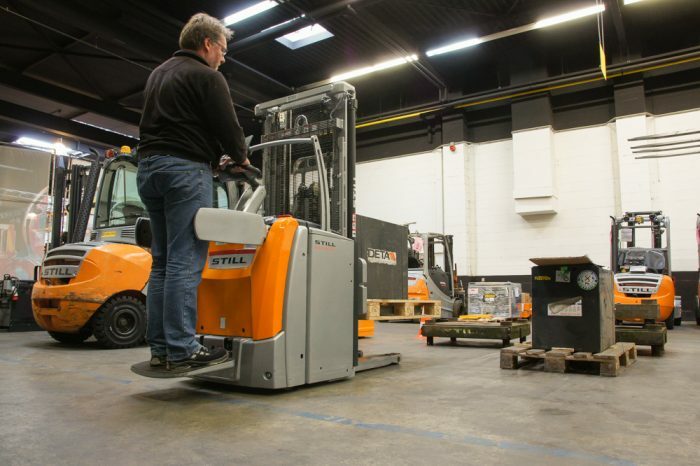 The color-coded green, yellow and orange correspond to the codes on the loading diagram which of course always vary with truck and mast combination. Regarding performance, we measure market conform scores with this test truck. 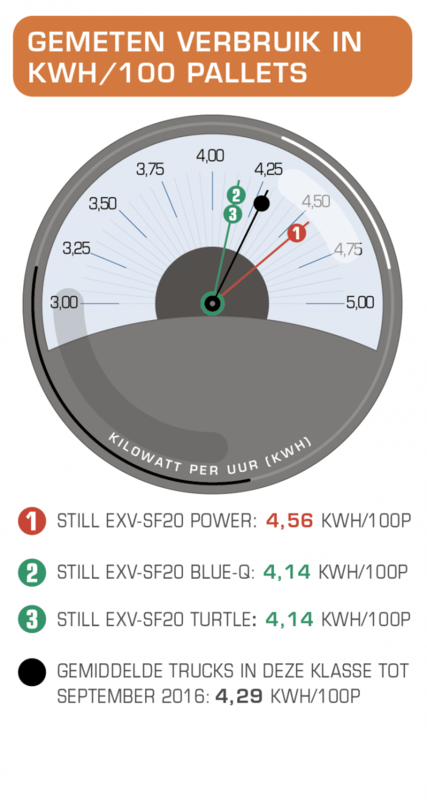 Remarkable is that the rate of the mast descent speed can be accurately adjusted as desired. 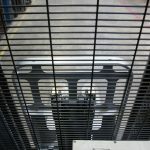 When working with breakable loads, you can handle these now extremely cautious. 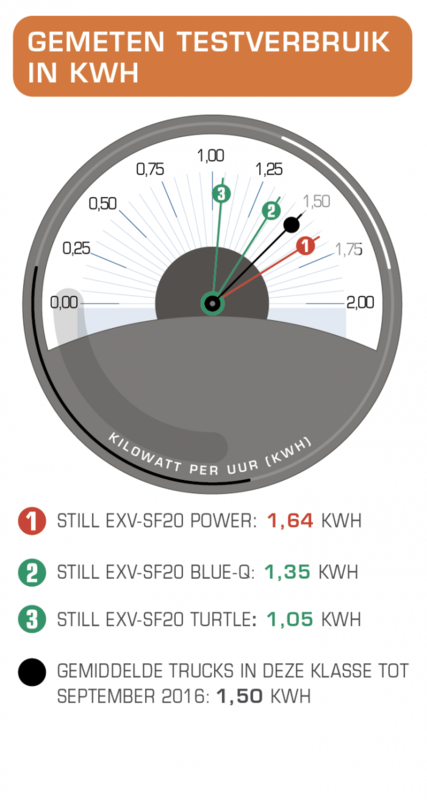 When driving in the powerful power mode, the energy consumption is just slightly higher than average, and the productivity is also slightly higher than average. Blue-Q-mode and the slowest turtle position both decrease energy consumption and logically also productivity. Who prefers very long uptime and minimize battery charging (or swapping) can thus save a lot. Blue-Q hereby provides the most ideal combination. 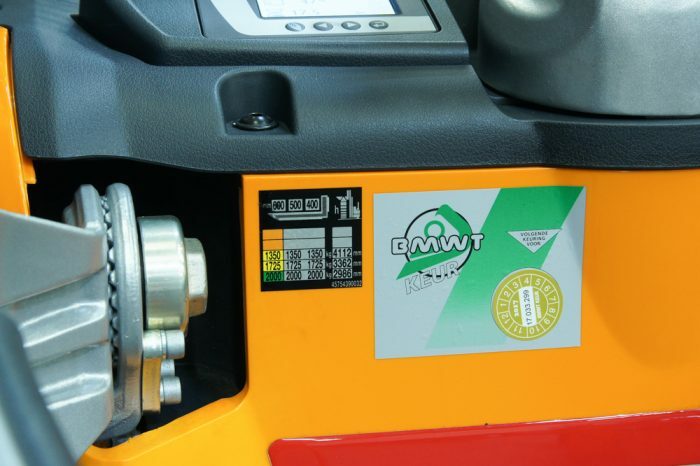 A sometimes spinning driving wheel – when driving in Power mode – does not occur when using the Blue-Q button. 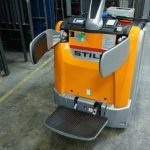 The Still EXV SF20 is a very practical and easy to operate stacker with stand-on folding platform. 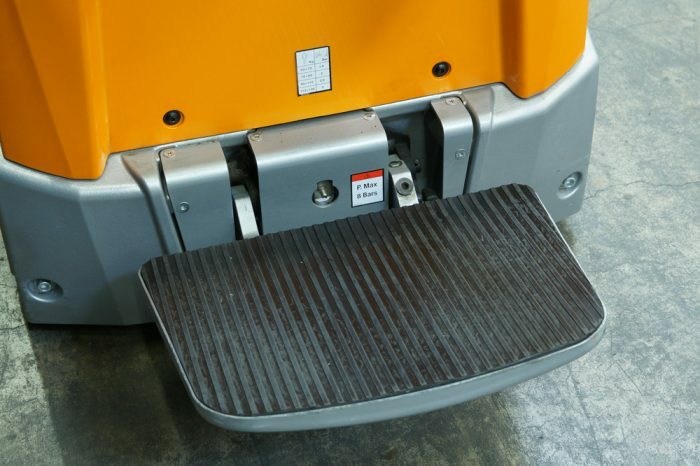 Virtually everything, even the degree of damping of the platform is adjustable as desired. The performance is market competitive. 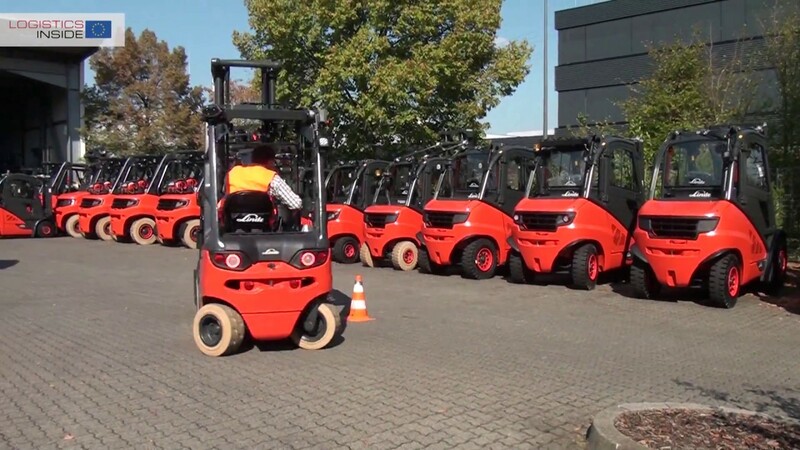 The truck offers a great number of available options, such as choices in different mast heights, tiller arm types and even a weighing indicator. 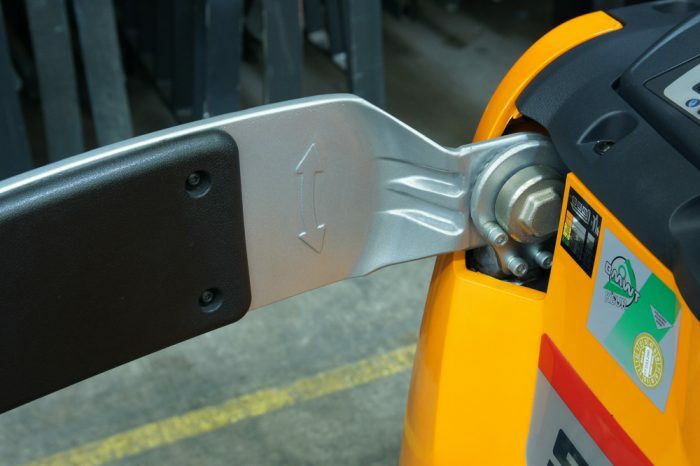 The colourful display is informative and can optionally give an indication of the lifting weight for secure lifting. The mesh between the mast sections never gets dirty, but a full Plexiglass screen offers the best visibility. The side supports of the EXV SF can easily be adjusted to the body length of each driver for optimal ergonomic support and safety when cornering. The operator platform can be adjusted to the weight of the operator by air compressor. 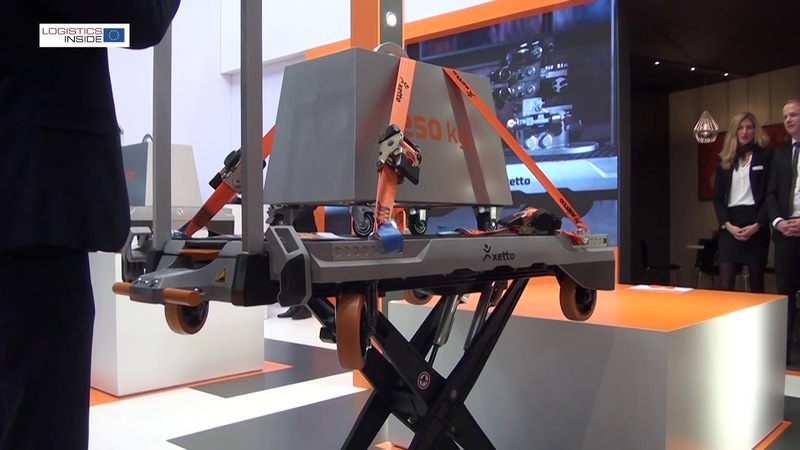 Using the scales and colour code on the mast the operator can lift loads safely and see the exact lifting height. 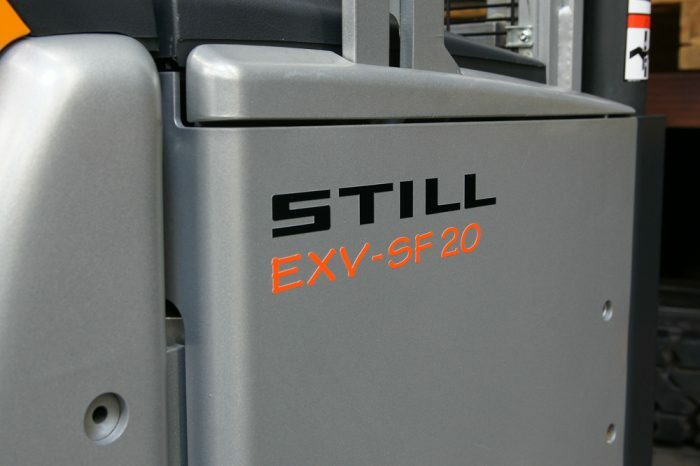 The Still EXV SF20 is a very practical and easy to operate stacker with stand-on folding platform. 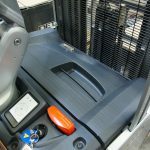 The truck offers some storage space for small items like masking tape, pens, etc. A paper clip is also standard on the sturdy, unbreakable plastic battery cover.